Sandra Davies wants her child to grow up strong, happy and healthy. A resident of a small community near Kitchener, Ontario, she watches what her two-year-old daughter eats and takes her for regular checkups. Unlike most of us, however, she has chosen not to have her daughter vaccinated. “At the time, I knew very few people who had chosen not to vaccinate,” says Davies. “I am someone who feels the need to gather all the information I can from every available source. There were hundreds of hours of looking at information. Weeding though was a difficult process.” Ultimately, she felt that the risks of vaccination outweighed the benefits. The Canadian Medical Association (CMA) would disagree. “With the exception of clean drinking water, no other human intervention has had the impact of vaccination on reducing infectious disease.” Still, it is estimated that 14 percent of Canadians remain wholly unvaccinated for reasons ranging from religious belief to simply having doubts of their effectiveness. “I get flu once every winter,” said a friend recently over lunch, “whether I get the shot or not. I just don’t think it works.” He didn’t get the shot, and chances are good that you didn’t either. Just 34 percent of us took Health Canada up on the offer. The success of routine vaccination programs is perhaps one of the reasons we can afford to be so cavalier. 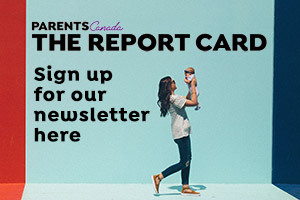 “Parents forget to keep their kids immunizations up-to-date because they don’t see the diseases any more,” says Dr. David Allison, chair of the Canadian Immunization Awareness Program. If we don’t see the diseases, it’s true that we also don’t see how bad they – the flu included – can be. By all counts, they can often be very bad indeed. During the smallpox outbreak in Montreal in 1885, 3,164 people died in the span of just a few months. And 2,117 of them were children. In the month of September alone, 830 victims were buried in a single cemetery. This in a city with a population of just 90,000. There is nothing in our experience that can compare. Any one of the many smallpox epidemics in our history makes SARS look like a momentary trifling. And we can never forget polio. Bill Bryson, noted American author, describes the outbreaks as, “possibly the scariest period in American history… A panic came over communities when polio was reported.” In 1953, the disease claimed 500 lives in Canada and paralyzed others, the vast majority of them children. In the decades leading up to the discovery of a workable vaccine, polio was for many Canadians a sign of spring. Children were banned from going to public pools and bowling alleys and parents lived in fear. The flu, too, was more notorious in the past than is it today. The Spanish Flu epidemic of 1918 killed 50,000 in Canada and filled hospital beds across the country. Had there been a vaccine available, the outcome might have been decidedly different. You probably have never known someone who has had mumps or measles, never feared the affects of rubella, never been hospitalized with tetanus. Chances are excellent that your children will never be hospitalized for polio, or spend six weeks in bed recovering from whooping cough. In this, at least, our world is a much safer place that it used to be. Of course, numbers aside, not everyone agrees. No sooner had vaccines been discovered, than people started protesting them. In the 1800s, noted mineralologist, George Gibbs claimed that vaccines were a tool of state operated “medical spies.” In Montreal, during the smallpox outbreak, rioters burned the home of the civil health officer and stoned city hall, complaining that a mandatory inoculation law was yet another imposition of the British on the French. The call was accepted by many as accurate, and sadly the French experienced a rate of smallpox that far outstripped that experience within the Anglophone community. Edda West, a long time detractor, first began speaking out in opposition to a 1982 law that didn’t allow for ‘objections of conscience’, or refusal of vaccines not based on medical grounds. The law was overturned, though now West continues to fight what she calls a ‘medical monopoly’, which she sees as sinister at worst, and unjust at best. For them, and no doubt others, vaccines are just part of a much larger agenda. Often, that’s the view that remains. “Parents are not getting their questions answered,” says Sears. “They are worried that there is something wrong with the vaccines and that people are trying to hide the truth. No one is taking their worries legitimately” from safety issues, to questions about the need for specific vaccines. Federal and provincial health authorities may be partially to blame. Risk statements that begin and end with “the risk of the vaccine causing serious harm is very small” – as in a recent flyer promoting the flu vaccine in Ontario – can give the sense there is something they don’t want to tell us. Doctors may gloss over many of the questions parents have. “When a parent is asking their doctor, ‘Are vaccines safe?’ they aren’t answering on their own in-depth research. If they want to understand, parents will have to take the time to educate themselves,” says Sears. Sandra Davies wants to be a parent “who feels confident and in control of their child’s health,” and she isn’t alone in that. As with any medical treatment, there are risks associated with vaccines, no matter how rare. There are also niggling questions that many of us have as to how safe some of these things can be. Asking questions and being persistent can put your mind at ease. As for any aspect of your family’s health care, the more you know, the better. The settlement of Trinity, Newfoundland, is the birthplace of vaccination in North America. It was there in 1800 that Dr. John Clinch received a small shipment of cowpox vaccine from Edward Jenner, the father of vaccination as we know it today, and used it to vaccinate over 700 people by the beginning 1801. Jenner’s story reads as a fable today. He famously found that people who had been exposed to cowpox were safe from smallpox, and began a series of experiments that set out to prove the point. Soon other researchers would find that the principle of inoculation could work for other illnesses, and were successful in creating vaccines. Due to the vaccination program, smallpox was eradicated from Canada in 1946, although the program continued until 1969. While a typical child in the 1950s would receive just a few vaccines, today most children receive nine vaccines beginning at two months of age and continuing into the teen years: diphtheria, tetanus, pertussis, polio, rubella, measles, mumps, hepatitis B and Haemophilus influenza type b. While we often refer to a number of vaccines as ‘new’, all have long track records, and have been proven safe and successful. varicella (chickenpox): you probably had chickenpox and lived to tell the tale. As a result, many parents see this as a nice, but not necessary, option. influenza: shots are made available each fall for the general population, and protect against many of the flu strains that could appear in Canada throughout the winter. meningitis: the disease can be devastating, though rare. As such, the shot is perhaps more valuable at a population level—i.e., to eradicate the disease—than it is for personal health.